Lineage Maui - New October 2018! 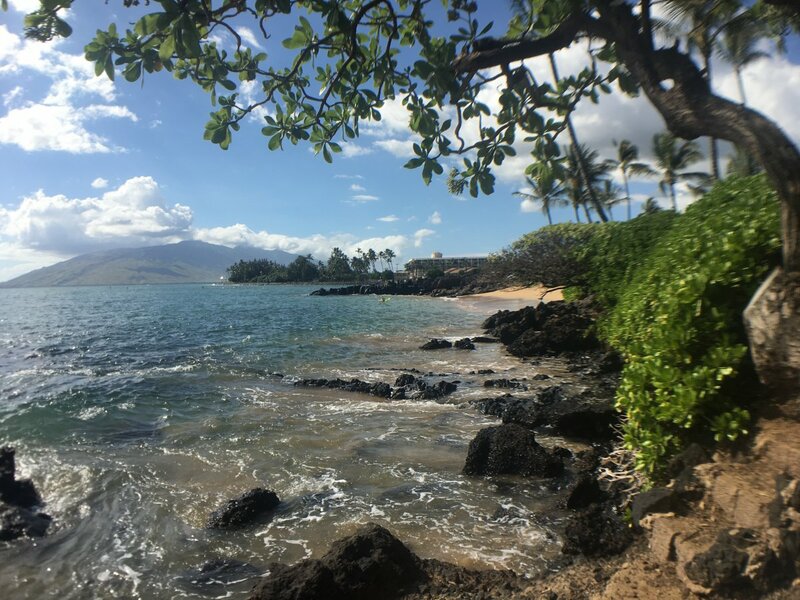 We’ve had staffers who recently went to Lineage Maui tell us it was awesome! Fun, trendy atmosphere. This is the new restaurant of Sheldon Simeon, of “Top Chef” fame. The restaurant features local Hawaiian and Filipino food with a twist. Chef Simeon says that most of the dishes at Lineage were inspired by recipes he learned from his Filipino parents and grandparents. Growing up near Hilo, Simeon would often have hunt and fish to bring back the meats necessary for family meals. It was during this time that Simeon learned many of the Filipino recipes that are featured on Lineage’s menu. With 80 seats and a bar area, Lineage has an intimate and cozy feel. Simeon says he wants guests to feel as if they just walked into a friend’s home when they enter his restaurant. To give this effect, carts will make their way through the restaurant and offer small bites before guests order their main meal. A few of these small dishes include boiled peanuts, kimchi, and cone sushi. The restaurant offers “cart dishes,” which are similar to Dim Sum. We’re told that the pipikaula (Hawaiian jerky) with cuttlefish was yummy as was the pohole (edible fiddlehead fern) salad! We’ve heard rave reviews about his pork and peas – a Filipino comfort dish - and that the squid luau and smoke meat and onion were on point! An interesting hook, we ordered the chicharron which they serve with their homemade chili pepper water in a cool bottle, which you get to take home with you. Makule Kiawe – a version of a Manhattan - is strong and delicious. Not too smoky. The South Side Southside – a team member loved this, a gin drink, but the flavors were light and not an overbearing gin flavor. Served with Wasabi Peas and ginger. Great cocktail to start with! The Latitude 20 – a tequila drink that we’re told is delicious! They also have a great selection Sake. As far as vibe, we’re told it’s ideal for date night or adult friends dining together. Visitors who are new to Hawaiian or “local” cuisine will be in for a treat. However, if you’re looking for an inexpensive local place, be sure to try Tutu’s. Lineage promises to be just as successful as Simeon’s first Maui dining location Tin Roof. Situated in a tiny strip mall near the Kahului Airport, Tin Roof has been incredibly successful since it opened its doors to guests in 2016. This tiny eatery is best-known for its affordable takeaway bowls inspired by simple Hawaiian cooking. Customers at Tin Roof can order rice bowls filled with garlic shrimp, ginger-marinated chicken thighs, deep-fried pork belly, or chop steak for under $10. Tin Roof also offers poke bowls, garlic noodles, a kale salad, and a spicy chicken sandwich. Unlike Lineage, Tin Roof is designed for locals and visitors on a Maui vacation who are looking for a quick bite. We are big fans of Lahaina Grill, which our Maui team members feel is still the best restaurant on the island. This is a wonderful restaurant that continually gets good reviews from our guests. 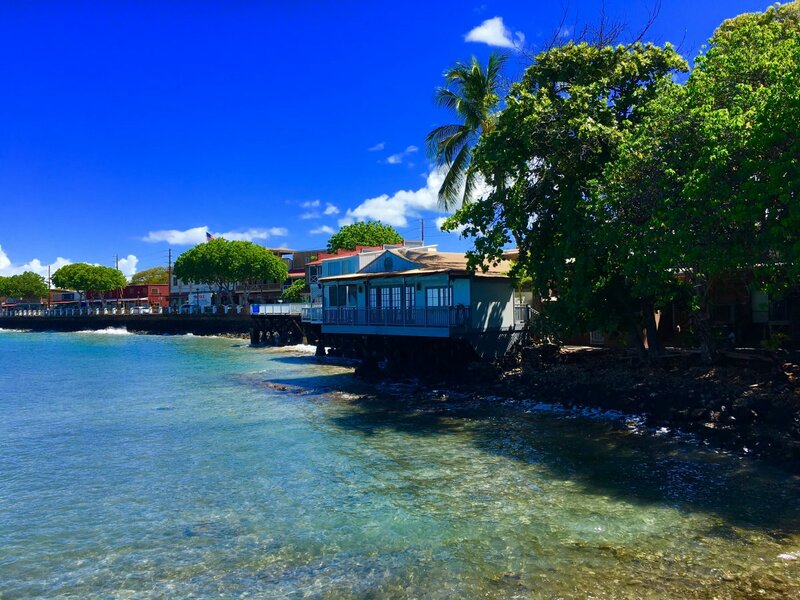 Our local team members love Honu, a seafood restaurant in Lahaina. It’s great for families and the menu offers something for everyone. Our team feels that Honu is among the top restaurants on Maui. incredible setting, Happy Hour is really a bit of a misnomer, as they just serve a pricey “bar menu” on the lanai and call it a Happy Hour. Our team members report that the food is good, but the ambiance is unbeatable. For that, they are a top Maui restaurant. There are multiple locations of Maui Brewing Co., but the brewery in Kihei has expanded. It’s huge and instead of having the food trucks outside, they now have a full menu available from their own kitchen. We’re not sure about a food verdict just yet, but they have some fun drinks on offer, including nice cider options as well as their freshly brewed beers. The space is enormous!! Definitely a good spot to check out if you have craft beer lovers in your group! 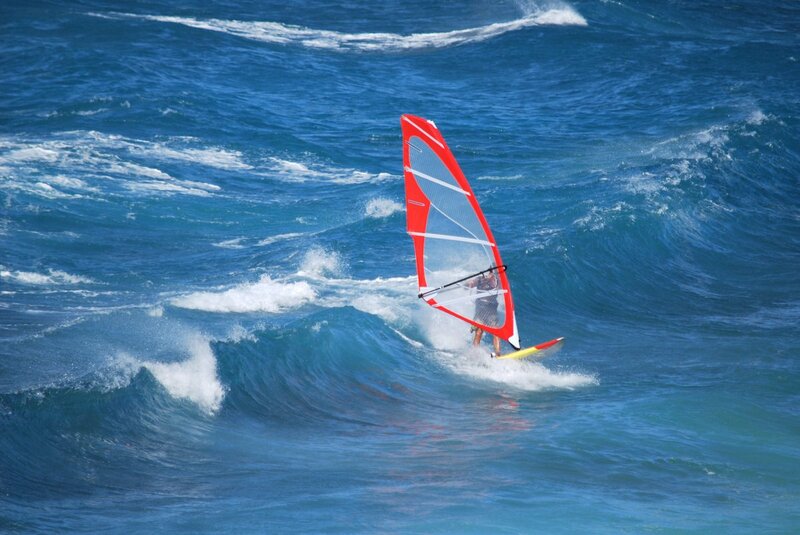 This is a favorite of some of our team members on Maui. Nalu’s is a super casual, local joint in Kihei with surprisingly fresh, farm to table bar food. The restaurant is dog friendly, so expect some local pooches nearby. Food is ordered at the counter and it’s brought to the table. This is a great place to catch local musicians like Barry Flannigan and Amy Hanai’ali’i. This restaurant has great views and is one of the only places on the south side of Maui that’s on the water. Ferraro’s is an open-air space, boasting sunset views, plenty of seating, live music and a hula dancer from 5:30-6:30 nightly. They have everything from Dim Sum to cheeseburgers! The food is “decent: but it’s really about the views and you are paying for the name here (Four Seasons). Super romantic setting, with good (if pricey) food. Makes the list for ambiance, for sure. Hotel Wailea is also an “adult only” resort so this is a good spot for a date night. This is a Maui favorite. We’ve recently been told by regular Maui guests who love the restaurant recently that while Mama’s is still good, it’s, “not as good as it used to be or not worth the price tag and drive.” That’s something to consider for folks staying in West Maui, as it’s on the North Shore, near Paia Town. Note: it’s a far drive from Lahaina and they don’t take reservations for more than 8 people. Lunch and dinner menu are the same so while it might be an expensive lunch, daytime is a great time to dine there. Nice restaurant with everything Ahi Poke and Caesar Salad to Grilled Rack of Lamb. Still good and nestled into a fun spot, upcountry from Paia town. Be mindful of drive time if you’re staying in Lahaina. This is a favorite in Paia, we recommend this for people who are going north shore and don’t want to do Mama’s. Note that Café de Amis, Café Mambo, Island Fresh Café and Pa’ia Flatbread would also all be in the mix for the north shore.